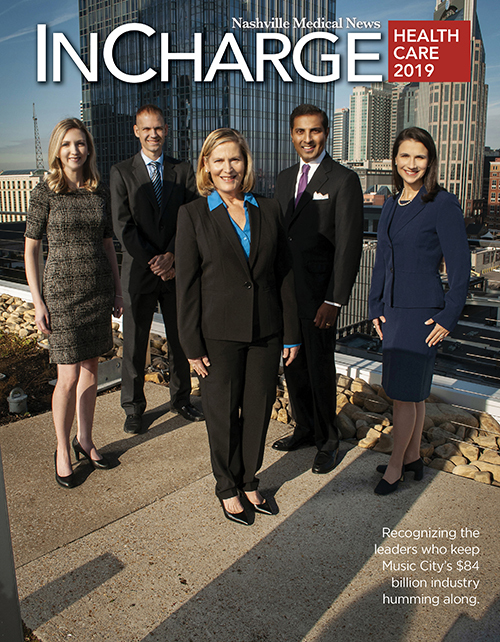 The Nashville Health Care Council has opened applications for the 2019 Fellows class, an annual initiative to explore new business strategies to address the greatest challenges facing the American health care system. Applications are open to top health care executives from around the country through Oct. 19, 2018. Founded in an era of unprecedented change for the industry, Fellows creates an open and collaborative forum for national and global thought leadership. 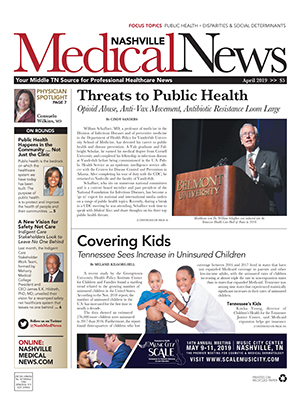 The program is co-chaired by former U.S. Senate Majority Leader Bill Frist, M.D., and Larry Van Horn, a leading expert in health care management and economics and professor at Vanderbilt University's Owen Graduate School of Management. "Fellows is a rare opportunity to examine the health care industry from all sides and bring leaders from a variety of sectors together to collaborate toward a smarter health care system," said Frist, who is also the founder of the program. The 2019 class will be selected by the Council Fellows Advisory Committee and announced in early December 2018. The Fellows initiative annually engages a select group of approximately 30 senior executives in an intense curriculum over seven daylong sessions, plus opening and closing retreats. Discussions focus on innovative business strategies, creating value for patients, driving industry efficiencies and effecting change while also taking into account the latest emerging industry trends. The work of the class includes strategic and collaborative discussion, creating solutions through small-group exercises, leadership development and in-the-field immersion activities. Council Fellows recently published its first white paper, 2018 Year in Review, sharing key insights from the initiative's most recent discussions. The publication provides a snapshot of what proved to be top-of-mind for 2018 Fellows and faculty, collectively one of the nation's most influential cohorts of health care leaders. "Health care leaders must think differently and drive change from inside their organizations in order to find meaningful solutions," Van Horn said. "Fellows are exposed to the brightest minds in the health care space and are given access to an exclusive network of peers who share the same goal - to shape the future of health care." Adding to the Fellows experience will be a distinguished faculty of renowned thought leaders facilitating the discussions, representing innovative companies, government agencies and academia. Previous guest lecturers have included Bernard J. Tyson, chairman and CEO, Kaiser Permanente; Regina E. Herzlinger, Nancy R. McPherson Professor of Business Administration, Harvard Business School; George Barrett, former CEO, Cardinal Health; Joseph R. Swedish, former chairman, president and CEO, Anthem; David Brailer, M.D., CEO, Health Evolution Partners; and many others. "The Council serves as a catalyst for leadership and innovation, and Fellows is a critical part of our work," said Hayley Hovious, Council president. "It's this commitment to collaboration that has made Nashville the nation's health care epicenter for nearly 50 years, and will move the industry forward." Interested applicants can find more information or begin the application process by visiting the Fellows website or contacting June Patterson, Fellows director, at jpatterson@healthcarecouncil.com or 615-743-3142. Applications are encouraged and accepted from a wide range of sectors within the industry - from privately held startups to publicly traded corporations - including service delivery, hospital management, managed care, HIT, pharmaceutical, medical device, nonprofit, law, finance and government.